The Royal Society is running a public consultation exercise on Science as a Public Enterprise. Submissions are requested to answer a set of questions. Here are my answers. There are broadly two principles that govern the ethics of access to research results and data. Firstly there is the simple position that publicly funded research should by default be accessible to the public (with certain limited exceptions, see below). Secondly claims that impinge on public policy, health, safety, or the environment, that are based on research should be supported by public access to the data. See more detail in answer to Q2. By default research outputs from publicly funded research should be made publicly accessible and re-usable in as timely a manner as possible. In an ideal world the default would be immediate release, however this is not a practically accessible goal in the near future. Cultural barriers and community inertia prevent the exploitation of technological tools that demonstrably have the potential enable research to move faster and more effectively. Research communication mechanisms are currently shackled to the requirements of the research community to monitor career progression and not optimised for effective communication. In the near term it is practical to move towards an expectation that research outputs that support published research should be accessible and re-usable. Reasonable exceptions to this include data that is personally identifiable, that may place cultural or environmental heritage at risk, that places researchers at risk, or that might affect the integrity of ongoing data collection. The key point is that while there are reasonable exceptions to the principle of public access to public research outputs that these are exceptions and not the general rule. What is not reasonable is to withhold or limit the re-use of data, materials, or other research outputs from public research for the purpose of personal advancement, including the “squeezing out of a few more papers”. If these outputs can be more effectively exploited elsewhere then this a more efficient use of public resources to further our public research agenda. The community has placed the importance of our own career advancement ahead of the public interest in achieving outcomes from public research for far too long. What is also politically naive is to believe or even to create the perception that it is acceptable to withhold data on the basis that “the public won’t understand” or “it might be misused”. The web has radically changed the economics of information transfer but it has perhaps more importantly changed the public perception on access to data. The wider community is rightly suspicious of any situation where public information is withheld. This applies equally to publicly funded research as it does to government data. Increasingly public advocacy groups are becoming involved in contributing to a range of research activities including patient advocacy groups supporting clinical trials, environmental advocacy groups supporting data collection, as well as a wider public involvement in, for instance, citizen science projects. In the case where individuals or organisations are contributing to research they have a right for that contribution to be recognised and a right to participate on their own terms (or to choose not to participate where those terms are unacceptable). Organised groups (particularly patient groups) are of growing importance to a range of research. Researchers should expect to negotiate with such groups as to the ultimate publication of data. Such groups should have the ability to demand greater public release and to waive rights to privacy. Equally contributors have a right to expect a default right to privacy where personally identifiable information is involved. Privacy trumps the expectation of data release and the question of what is personally identifiable information is a vexed question which as a society we are working through. Researchers will need to explore these issues with participants and to work to ensure that data generated can be anonymised in a way that enables the released data to effectively support the claims made from it. This is a challenging area which requires significant further technical, policy, and ethics work. It is clear that public funded research is a public good. By contrast privately funded research is properly a private good and the decision to release or not release research outputs lies with the funder. It is worth noting that much of the privately funded research in UK universities is significantly subsidised through the provision of public infrastructure and this should be taken into consideration when defining publicly and privately funded research. Here I consider research that is 100% privately funded. Where claims are made on the basis of privately funded research (e.g. of environmental impact or the efficacy of health treatments) then such claims SHOULD be fully supported by provision of the underlying evidence and data if they are to be credible. Where such claims are intended to influence public policy such evidence and data MUST be made available. That is, evidence based public policy must be supported by the publication of the full evidence regardless of the source of that evidence. Claims made to influence public policy that are not supported by provision of evidence must be discounted for the purposes of making public policy. See above: the right to privacy trumps any requirement to release raw data. Nonetheless research should be structured and appropriate consent obtained to ensure that claims made on the basis of the research can be supported by an adequate, publicly accessible, evidence base. A wide variety of technical initiatives are underway to enable the wider collection, capture, archival and distribution of research outputs including narrative, data, materials, and other elements of the research process. It is technically possible for us today to immediately publish the entire research record if we so choose. Such an extreme approach is resource intensive, challenging, and probably not ultimately a sensible use of resources. However it is clear that more complete and rapid sharing has the potential to increase the effectiveness and efficiency of research. The challenges in exploiting these opportunities are fundamentally cultural. The research community is focussed almost entirely on assessment through the extremely narrow lens of publication of extended narratives in high profile peer reviewed journals. This cultural bias must be at least partially reversed before we can realise the opportunities that technology affords us. This involves advocacy work, policy development, the addressing of incentives for researchers and above all the slow and arduous process of returning the research culture to one which takes responsibility for the return on the public investment, including economic, health, social, education, and research returns and one that takes responsibility for effective communication of research outputs. New media (not really new any more and increasingly part of the mainstream) democratise access to communications and increase the pace of communication. This is not entirely a good thing and en masse the quality of the discourse is not always high. High quality depends on the good will, expertise, and experience of those taking part.There is a vast quantity of high quality, rapid response discourse that occurs around research on the web today even if it occurs in many places. The most effective means of determining whether a recent high profile communication stands up to criticism is to turn to discussion on blogs and news sites, not to wait months for a possible technical criticism to appear in a journal. In many ways this is nothing new, it is return to the traditional approaches of communication seen at the birth of the Royal Society itself of direct and immediate communication between researchers by the most efficient means possible; letters in the 17C and the web today. Alongside the potential for more effective communication of researchers with each other there is also an enormous potential for more effective engagement with the wider community, not merely through “news and views” pieces but through active conversation, and indeed active contributions from outside the academy. A group of computer consultants are working to contribute their expertise in software development to improving legacy climate science software. This is a real contribution to the research effort. Equally the right question at the right time may come from an unexpected source but lead to new insights. We need to be open to this. At the same time there is a technical deficiency in the current web and that is the management of the sheer quantity of potential connections that can be made. Our most valuable resource in research is expert attention. This attention may come from inside or outside the academy but it is a resource that needs to be efficiently directed to where it can have the most impact. This will include the necessary development of mechanisms that assist in choosing which potential contacts and information to follow up. These are currently in their infancy. Their development is in any case a necessity to deal with the explosion of traditional information sources. 5. What additional challenges are there in making data usable by scientists in the same field, scientists in other fields, ‘citizen scientists’ and the general public? Effective sharing of data and indeed most research outputs remains a significant challenge. The problem is two-fold, first of ensuring sufficient contextual information that an expert can understand the potential uses of the research output. Secondly the placing of that contextual information in a narrative that is understandable to the widest possible range of users. These are both significant challenges that are being tackled by a large number of skilled people. Progress is being made but a great deal of work remains in developing the tools, techniques, and processes that will enable the cost effective sharing of research outputs. A key point however is that in a world where publication is extremely cheap then simply releasing whatever outputs exist in their current form can still have a positive effect. Firstly where the cost of release is effectively zero even if there is only a small chance of those data being discovered and re-used this will still lead to positive outcomes in aggregate. Secondly the presence of this underexploited resource of released, but insufficiently marked up and contextualised, data will drive the development of real systems that will make them more useful. Fundamentally more efficient, more effective, and more publicly engaging research. Less repetition and needless rediscovery of negative results and ideally more effective replication and critiquing of positive results are enabled by more widespread data sharing. As noted above another important outcome is that even suboptimal sharing will help to drive the development of tools that will help to optimise the effective release of data. The widespread sharing of data has historically always lead to entirely new forms of science. The modern science of crystallography is based largely on the availability of crystal structures, bioinformatics would simply not exist without genbank, the PDB, and other biological databases and the astronomy of today would be unrecognizable to someone whose career ended prior to the availability of the Sloan Digital Sky Survey. Citizen science projects of the type of Galaxy Zoo, Fold-IT and many others are inconceivable without the data to support them. Extrapolating from this evidence provides an exciting view of the possibilities. Indeed one which it would be negligent not to exploit. Policy making that is supported by more effective evidence is something that appeals to most scientists. Of course public policy making is never that simple. Nonetheless it is hard to see how a more effective and comprehensive evidence base could fail to support better evidence based policy making. Indeed it is to be hoped that a wide evidence base, and the contradictions it will necessarily contain, could lead to a more sophisticated understanding of the scope and critique of evidence sources. The potential for wider public involvement in science is a major potential benefit. As in e) above a deeper understanding of how to treat and parse evidence and data throughout society can only be positive. Every study of the release of government data has shown that it leads to a nett economic benefit. This is true even when such data has traditionally been charged for. The national economy benefits to a much greater extent than any potential loss of revenue. While this is not necessarily sufficient incentive for private investors to release data in this case of public investment the object is to maximise national ROI. Therefore release in a fully open form is the rational economic approach. The costs of lack of acces to publicly funded research outputs by SMEs is well established. Improved access will remove the barriers that currently stifle innovation and economic growth. There is both a negative and a positive side to this question. On the positive greater transparency, more potential for direct involvement, and a greater understanding of the process by which research proceeds will lead to greater public confidence. On the negative, doing nothing is simply not an option. Recent events have shown not so much that the public has lost confidence in science and scientists but that there is deep shock at the lack of transparency and the lack of availability of data. If the research community does not wish to be perceived in the same way as MPs and other recent targets of public derision then we need to move rapidly to improve the degree of transparency and accessibility of the outputs of public research. There is little evidence that the protection of IP supports a nett increase on the return on the public investment in research. While there may be cases where it is locally optimal to pursue IP protection to exploit research outputs and maximise ROI this is not generally the case. The presumption that everything should be patented is both draining resources and stifling British research. There should always be an avenue for taking this route to exploitation but there should be a presumption of open communication of research outputs and the need for IP protection should be justified on a case by case basis. It should be unacceptable for the pursuit of IP protection to damage the communication and downstream exploitation of research. Privacy issues and concerns around the personal security of researchers have been discussed above. National security issues will in many cases fall under a justifiable exception to the presumption of openness although it is clear that this needs care and probably oversight to retain public confidence. British research could benefit from a statement of values, something that has the cultural significance of the Haldane principle (although perhaps better understood) or the Hippocratic oath. A shared cultural statement that captures a commitment to efficiently discharging the public trust invested in us, to open processes as a default, and to specific approaches where appropriate would act as a strong centre around which policy and tools could be developed. Leadership is crucial here in setting values and embedding these within our culture. Organisations such as the Royal Society have an important role to play. Researchers and the research community need to take these responsibilities on ourselves in a serious and considered manner. Funders and regulators need to provide a policy framework, and where appropriate community sanctions for transgression of important principles. Research institutions are for the most part tied into current incentive systems that are tightly coupled to funding arrangements and have limited freedom of movement. Nonetheless a serious consideration of the ROI of technology transfer arrangements and of how non-traditional outputs, including data, contribute to the work of the institution and its standing are required. In the current economic climate successful institutions will diversify in their approach. Those that do not are unlikely to survive in their current form. This is not the first time that the research community has faced this issue. 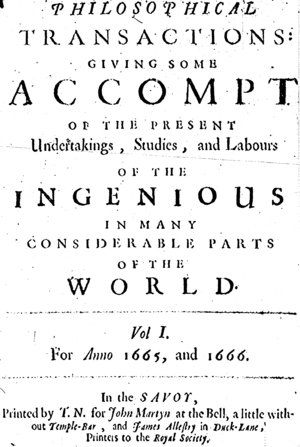 Indeed it is not even the first time the Royal Society has played a central role. Several hundred years ago it was a challenge to persuade researchers to share information at all. Results were hidden. Sharing was partial, only within tight circles, and usually limited in scope. The precursors of the Royal Society played a key role in persuading the community that effective sharing of their research outputs would improve research. Many of the same concerns were raised; concerns about the misuse of those outputs, concerns about others stealing ideas, concerns about personal prestige and the embarrassment potential of getting things wrong. The development of journals and the development of a values system that demanded that results be made public took time, it took leadership, and with the technology of the day the best possible system was developed over an extended period. With a new technology now available we face the same issues and challenges. It is to be hoped that we tackle those challenges and opportunities with the same sense of purpose. This is a very interesting article, but sadly, it built on a number of fundamentally immoral assumptions that necessarily cause its conclusions to be wrong. The fundamental ethical principle are not two, but are in fact one; property rights. Publicly funded research is actually code for ‘money stolen from the public by the State’. This is immoral, and should not be taking place at all. The ends do not justify the means, and this widespread, unethical, distorting practice should be stopped. Ethical scientists should not be involved in research that stems from immoral acts. This is why human vivisection, even though it could result in benefits for ‘society’ is shunned by most scientists. The same logic and ethical principles should apply to the source of monies that are applied to research. Ethical research cannot be done when the money financing it is not ethically sourced. In the meantime, whilst there are many data sets that the public has paid for through coercion, they have a property right in that data. It should be released in its entirety, into the public domain immediately, without delay or restriction, where the privacy of individuals is not violated. This in effect, would wipe the slate clean, so that any future research done ethically will not be tainted. Property rights dictate that the results of privately funded research are the exclusive property of the people who funded it. There is no obligation whatsoever to release data and inventions that you have funded or produced yourself, and anyone that claims that the public has a ‘right’ to access data that is generated privately is advocating theft and violence. Scientists must accept the logically derived principles of property rights if they are to act ethically. You cannot steal for the greater good, and the State does not have the ability to do that on your or anyone else’s behalf. Of course, once you release your data into public view, it should be free for anyone to copy. Patents and copyrights are unethical, and have caused immense damage to scientific research and human prosperity. Property rights do not disappear as soon as there are ‘public health implications’. This is a form of the ‘greater good’ fallacy. Apart from solving the ethical dilemmas listed above, property rights solves the problem of the mythical ‘intellectual property’ and its balancing against openness. This is clearly laid out in Baldrin. That they behave in a logical, ethical and moral fashion at all times and in all instances. To sum up, unless scientists are willing to face the truths I have outlined here, they will not be able to act in an ethical manner. All of the problems and ethical dilemmas they face will disappear if they face the fundamental root cause of the dilemma; their ignorance of the ethics of property rights. James, that is a very interesting start of a comment, but sadly, it built on at least one fundamentally wrong assumption, so I stopped reading the rest. 1. Publicly funded research is actually code for ‘money stolen from the public by the State’. My view is (fairly obviously) completely opposed to yours. I believe that there are public goods and that these should be funded by the public where the market fails, which it frequently (but by no means always) does. Politics then fundamentally resolves to a question of where the market fails and where it succeeds. Those are issues on which people can have legitimate disagreements. Your fundamental assumption is that property is a foundational ethical principle (I’m guessing a la Hegel HT @kubke). I could just as easily argue that all property is theft from our common inheritance. Taxation is simply the re-appropriation of that stolen commons back to the community. But I wouldn’t want to base a whole philosophy on that because it is just as arbitrary as your starting point. I’m a pragmatist and utilitarian myself. I just want to do things as well as we can given the situation and tools we have at the moment. I disagree that simply because our views are diametrically opposed that we cannot have a discussion. I am willing to talk to anyone about their ideas, and modify mine where they are clearly in error. I understand that the Royal Society enquiry has a focus that is different from the thrust of my post, but it is important to question the assumption of everything to make sure we are thinking correctly. Recently, the British government has decided that people should be ‘allowed’ to copy and transform files from CDs that they have bought to that they may use them on their computers. Because the legislation has been working from a bad assumption (that people do not own CDs that they have bought) for over a decade, millions of people have been de-facto criminals simply because someone had not thought deeply enough about what rights are. Rather than ask questions about the economic impact of IP on science, I am asking a fundamental question about the true nature of IP and property rights. Its rather like a physicist not simply accepting the models that have been handed to him, and wanting to go deeper to the most basic parts of reality to find out how things really work at the most basic level. Since we are talking about other people’s money and ethics, it makes perfect sense to ask these fundamental questions. I note with some dismay and delight, that you think the idea of asking these questions is ‘extremist’. This is the same reaction all scientists get when they ask questions that are ‘off script’. In the end, the people who are thinking deeper make the discoveries and breakthroughs, so I am quite happy to be called ad hommed with the label ‘extremist’. If you believe that there are public goods, you must say why it is not immoral for the State to force people to pay for anything. You must say how it is that a power that you do not have (the power to steal and use violence) can be transferred to other people. You and I can fundamentally disagree on these points, but there is a clear distinction between the philosophy of Libertarianism and your philosophy; if I disagree with you, I will not contract others to come and steal your money to ‘fund’ my ideas, whereas you will send your agents to my house to steal from me and put me in jail. This has been laid out very clearly by Murray N Rothbard. I suggest two books for you; ‘For a New Liberty’, and ‘The Ethics of Liberty’ by Murray N Rothbard. These two tomes will cause you to come to the same conclusions that I have, as difficult as they are to accept at first. You say you could argue that all property is theft from our common inheritance, but inheritance does not work in that way; inheritance, by definition, is where real property passes through living people to their heirs. There is no ‘common inheritance’ of any physical property. To digress slightly, there is a common inheritance in ideas, the intangible data that can be copied and which is infinitely abundant, which is why Patent and copyright laws are illegitimate. Once again, see Baldrin for the details of this. Libertarianism is not formulated from slogans (“property is theft”) it is a rigorous, complete, scientific system of ethics that (for all you atheists out there) is derived purely from logic and does not rely at any point on invocation of a deity. The starting point of Libertarianism is not at all arbitrary; I imagine you have asserted this because you are not at all familiar with it. I suggest you take a look at those books so that at the very least, you can try and refute them from a knowledge of what Libertarianism actually is. Finally, if you want to do things as well as we can, then you should explore property rights and Libertarianism. A free society that is not based on violence and coercion would be many times more innovative than the one we are living in right now. This is not an assertion, but is provable fact. I hope my reply was not too ‘extremist’ for you! Thank you for replying Egon. Democracy is in fact, immoral, precisely because people do not have a choice in wether or not to hand over money to the State, or to not participate in it. Your understanding that the public has ‘agreed’ to pay the State to fund public research is wrong. The entire structure of Democracy is built on violence and coercion. In some countries, like Australia, it is even illegal to refuse to participate in voting. There can be no other description of this other than that it is immoral. You do not have a choice to opt out of anything the State is doing, and if you try to, armed men come to your house to violently seize you and your property. If society was purely voluntary and non violent, then none of this would be an issue, and scientists could then have a debate on the ethics of data release, privacy and all of the other important subjects outlined here. As I say in my comment, this immorality stretches directly into the health of millions of people, as described in ‘Against Intellectual Monopoly’. The irrational State monopoly on ideas granted to companies (Patents) keeps medicine out of the hands of people who need it, but also keeps ideas out of the labs of scientists who are trying to solve problems that have a cumulative positive effect on society. These issues are very important. I know that they are difficult to accept at first, but after becoming acquainted with the ideas behind them, all rational, scientific minded people must come to the same conclusion about the true nature of the State, based only on the evidence. See the books that I recommend in my comment to the owner of this blog.